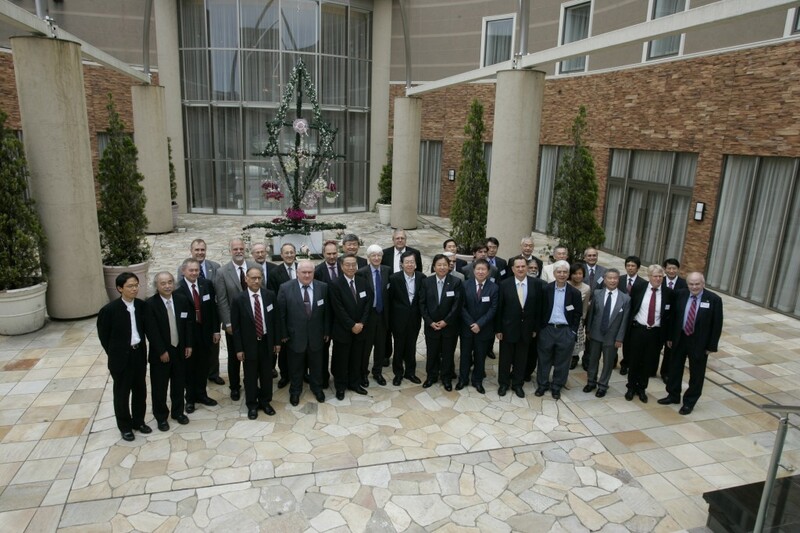 ITER Council delegates in Mito, Japan. Representatives from ITER's seven Members at the 4th ITER Council meeting. Council Chair Prof Chris Llewellyn Smith greets Masaru Hashimoto, Governor of Ibaraki prefecture at the start of the 4th ITER Council meeting. 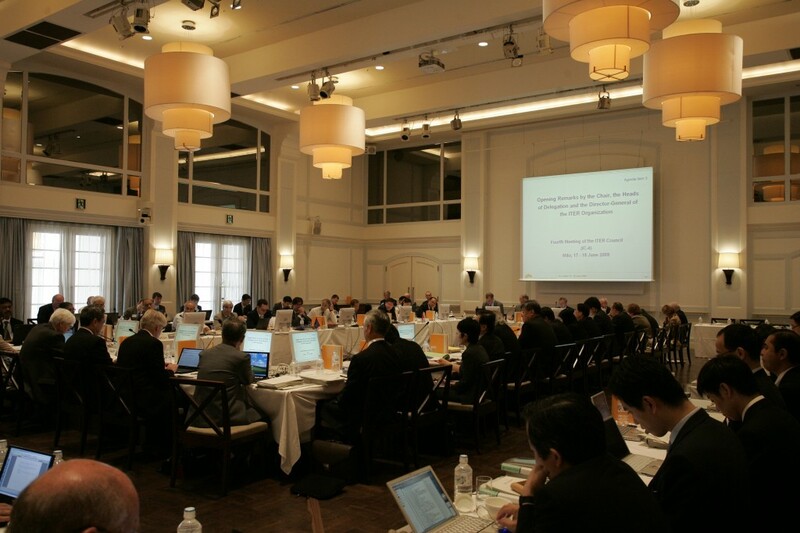 On 17-18 June, the ITER Council, the governing body of the ITER Organization, convened for its fourth meeting. The two-day meeting in Mito, Japan brought together representatives from the seven ITER Members: China, the European Union, India, Japan, Korea, Russia and the United States. The ITER Council endorsed as a working basis for development of the project baseline the phased approach to the completion of ITER construction and the target date for First Plasma by the end of 2018, maintaining operation with deuterium and tritium fuels in 2026. The Council also requested the finalization of a realistic schedule with the resources needed to complete ITER construction. In order to substantially reduce overall risk the primary components of the ITER machine will be assembled and tested together before the progressive installation of in-vessel components continues. A similar approach has been adopted during the construction of all major tokamaks. "Council recognized that this is a responsible way to build ITER", said ITER Council chair Prof. Sir Chris Llewellyn Smith. "Agreement on this approach was a key milestone towards the planned adoption of the baseline at the next meeting in November." 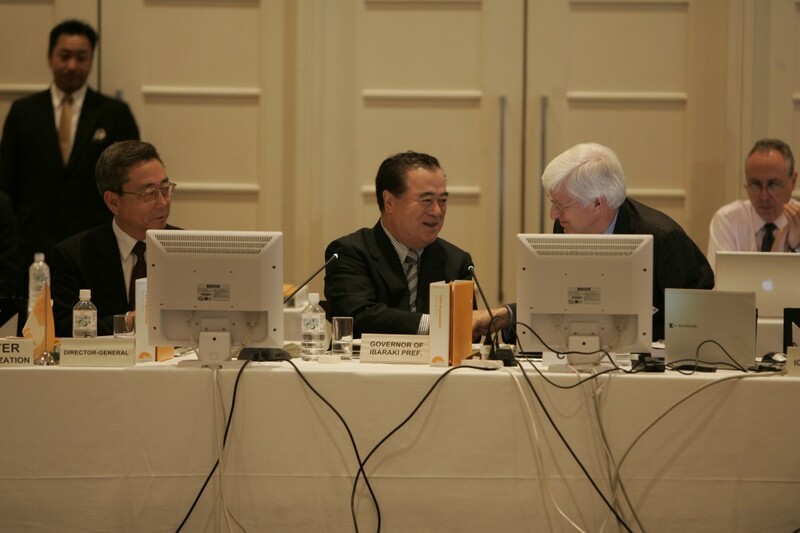 The Director-General of the ITER Organization, Kaname Ikeda, reported on progress since the third meeting of the ITER Council in November 2008. He thanked the governments of the ITER Members for their ongoing support, saying "We are creating a new model of global collaboration and the world is watching our progress. We have come together to catalyze the next stage of development of ITER and I hope and trust that the 4th ITER Council meeting will be a memorable event on the way to the demonstration of fusion as a safe, limitless, energy source." The Council reviewed the reports from the various committees and working groups, showing progress on establishing the policies and procedures of this new global collaboration. The ITER Council appointed an assessor to carry out the Management Assessment, which according to the ITER Agreement, must be undertaken at least every two years, and established a Steering Committee for the Assessment. The European Commission welcomed the outcome of the Council meeting. "The outcome of today's Council is an important step in the right direction", the EU Commissioner for Science and Research, Janez Potočnik, said in a press release, "but a number of conditions still have to be met to reach this goal. Together with our international partners, we will intensify our work to obtain credible costs assessment, including means to contain them and to find ways to further improve the efficiency of the project's management at international and EU level."